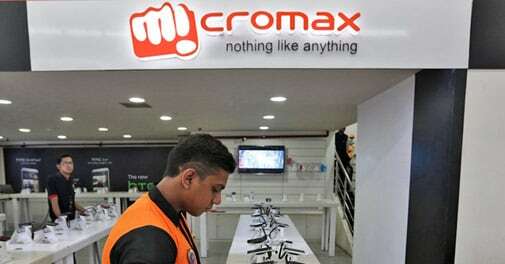 Micromax Informatics, India's No.2 smartphone maker, has expressed interest in buying a stake in South Korean peer Pantech Co as part of its drive to expand overseas and go upmarket, two sources said on Monday. "Micromax told Pantech that it was interested in a stake in the company," one of the sources said, declining to elaborate on the size of a potential deal and other details. Nine creditor banks own a combined 37 per cent of Pantech, while Qualcomm Inc has a 12 per cent stake and Samsung Electronics Co holds 10 per cent. "Micromax is among those who are interested in Pantech," another source said. The two sources declined to be identified because of the confidentiality of the sales process. High-end smartphone maker Pantech has struggled against competition from giant rivals Samsung Electronics and LG Electronics Inc in South Korea, where nearly 70 per cent of mobile users have smartphones. Pantech also sells phones in such markets as the United States and Japan. Micromax has brought smartphones to the masses in India's price-sensitive market where basic handsets still dominate, with heavy advertising and phones based on Google Inc's Android software starting at $50 - almost half the price of a comparable Samsung model. Now the unlisted company, backed by private equity firms TA Associates and Sequoia Capital, is trying to push into pricier segments dominated by global brands and break into overseas markets.